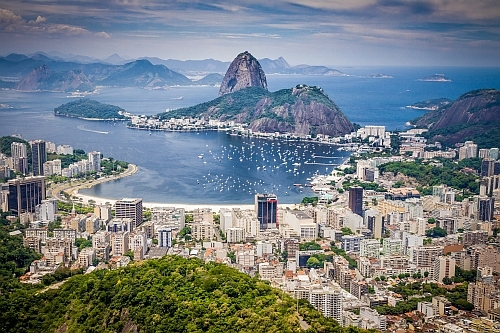 United Airlines has dropped the price of their flights from Toronto to Sao Paulo and Rio de Janeiro, Brazil down to between $491 and $513 CAD roundtrip including taxes. The flights to Sao Paulo have 1 stop each way, usually in Washington D.C. or Chicago. The flights to Rio de Janeiro have an extra stop in Sao Paulo. 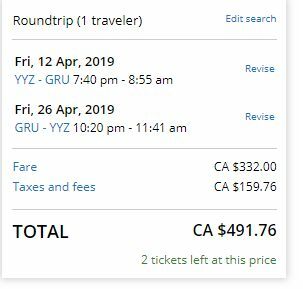 You can also book these flights from London, Ontario (YXU) for about $80 more. - Look for the dates that are $492 to $514 roundtrip. toronto, yyz, flight deals, south america, rio de janeiro, brazil, gig, sao paulo, united airlines, sao, rio and sdu. No Responses to "Toronto to Sao Paulo or Rio de Janeiro, Brazil - $491 to $513 CAD roundtrip including taxes"